If you're as bad at holiday shopping as I am, then you probably don't have a lot of yours done at this point and you'll scramble over the next few weeks and end up paying a lot more for express shipping than you would if you planned ahead. 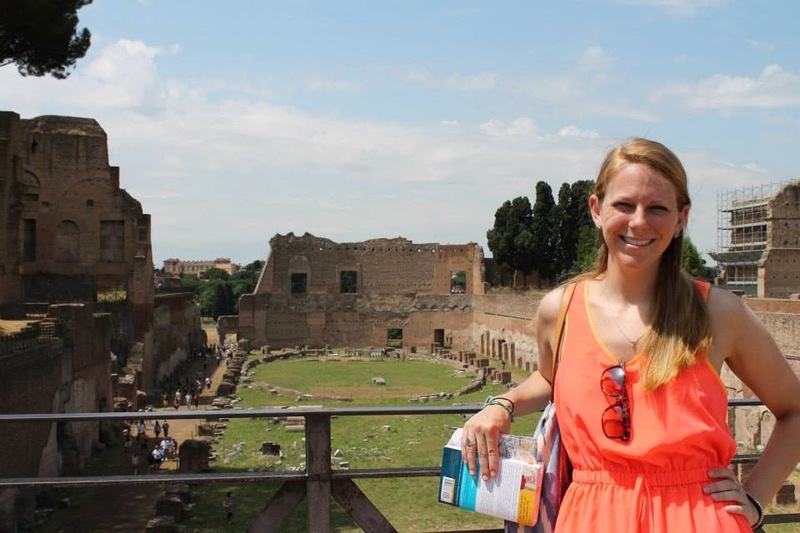 But, if you happen to have a traveler in your life, I have a list of great ideas for gifts, all tried and loved by yours truly! I buy workout clothes more often than I work out, and Lululemon is one of my weaknesses. 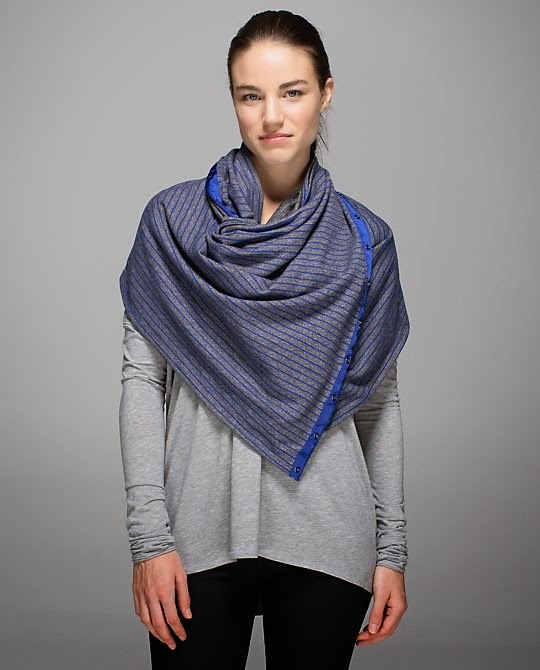 I purchased their Vinyasa Scarf this fall, thinking that it would be a great accessory when traveling. It is comfy, warm, and has snaps so you can wear it in a variety of ways, although my family has teased me because I only really know the one way. It's perfect as a blanket on a draft airplane or to cover up a little more if visiting a temple in Thailand. This scarf is so versatile that there is a video on all the different ways to wear it on the above link. I'm sure I'll figure it all out at some point. It'll set you back $48, but that's a steal for Lululemon. Another one of my major weaknesses is the website Cuyana, whose motto is "Fewer, Better." They source accessories that you'll want to own your whole life from different countries around the globe. For example, I have a leather tote from Argentina, a robe from Turkey, a ring from Bali, among lots of other things. It's an obsession. 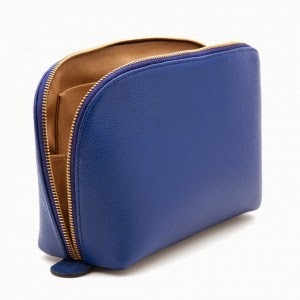 If your traveler is anything like me, she'll want sophisticated leather travel toiletry and cosmetic bags as well as a matching passport holder to look cool while waiting in security lines and to keep track of boarding passes and itineraries. I have both in blue. 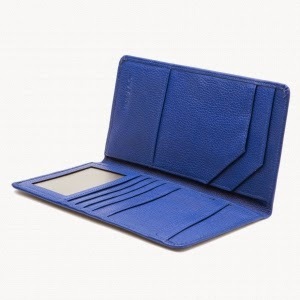 The travel case set is $95 and the passport holder is $55. Oops. I'm pretty well-known for snacking at my office and it is there where I get two snack subscriptions delivered. Not only do these subscriptions save me money and allow to me to snack smarter and healthier at work, they come in handy while I'm traveling too. I now always have healthy snacks on hand so that I'm less tempted to get a huge cinnamon bun or Twizzlers at the airport. Subscription boxes are great as gifts because everyone enjoys surprises in the mail months after the holidays. Graze is four individual servings of snacks which I receive weekly. You can also select the every-other-week option if you're not a glutton like me. Graze chooses which snacks to send, but you're able to evaluate each snack as "trash," "try," "like," or "love." 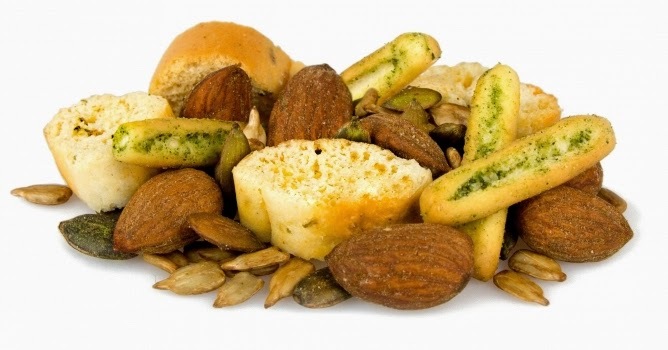 You can also select certain types of snacks if you don't want any nuts or anything over 100 calories, for example. These snacks are the perfect size to bring along while you're sightseeing and have helped me postpone a lunch stop more than a few times. Graze has a number of gift options, 1 box at a time, or vouchers for 3, 5, 10, and 50. All gift options are currently $6/box. If you'd like to try out the subscription for yourself, use this referral code: ERINF9XHP and get your 1st and 5th box for free. 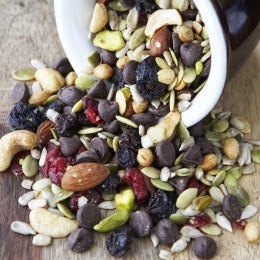 Nature Box is a monthly subscription where you can choose which healthy snacks in full-sized packages come to your door. Once in a while, the snacks in your "pantry" will be out of stock and you may receive a substitute or two, but I've had good luck with their customer service team if I haven't liked something. Boxes and prices vary, but I personally subscribe for $19.95/month for five full-sized snack bags. Use this referral link for $10 off your first box. My family and I are obsessed with Rick Steves. His European travel guides are the absolute best. If I hadn't known about him, I wouldn't have been as comfortable wandering around London and Amsterdam by myself. He writes kind of like me, like a human, and his guidebooks are so much more than just listings of places to see. Rick gets into what you're supposed to take in at every landmark, what you should skip, and has amazing walking tours. He guides you through different neighborhoods, places of interest, and even picks out the top 10 or 20 pieces of art so you don't become overwhelmed in a ginormous museum. I actually am a little annoyed when I travel outside of Europe and have to do research with other brands of guidebooks. I would love for Rick to expand into other areas of the world. HINT HINT RICKIE POO. Spoiler alert: I am receiving the Rick Steves Spain 2015 book for Christmas this year. You probably already know how I feel about this book, if you've ever talked to me, read this post, or seen any of my recent tweets regarding the new movie adaptation with Reese Witherspoon. I plan on rereading this in the new year. This book is the ultimate inspiration for a solo journey, which I (and the author) think everyone should take at some point in their lives. Cheryl Strayed's beautifully written memoir of her solo hike of 1,000 miles up the Pacific Coast Trail at a harrowing point in her life will be meaningful to any traveler. While I do clearly love everything above, I'm a much bigger fan of experiences than things. If you need a gift for a traveler and you happen to be local to NYC, I'd recommend a tour with Walks of New York. I went on the Lower East Side tour in April and learned so much more about the neighborhood than I ever expected. I'm hoping to make it on their Mario Batali Greenwich Food Tour this winter, which includes exclusive visits to two of the Croc-wearer's restaurants. Tours are also available at the Met, on Broadway, and beyond. There are even some special Christmas-themed tours this month. Email info@walksofnewyork.com for gift voucher details. Anything with a map on it is a good gift for a traveler. A map where they can track where they've been is the ultimate. I received this scratch-off map from my sister two Christmases ago. 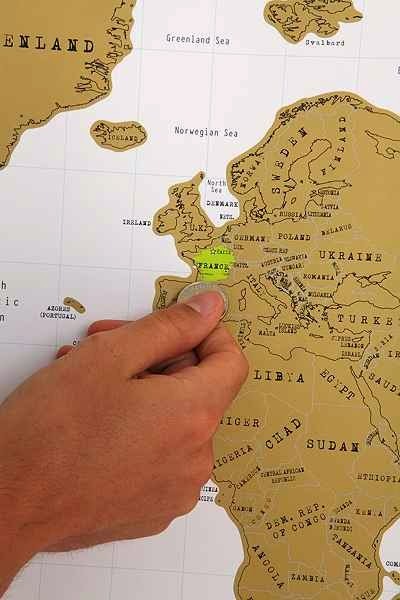 It's up to you to decide if you should scratch off the entire country or just the region of the country you've been to. I felt a little guilty scratching off all of Brazil for just one weekend spent on the border of Argentina and Brazil at Iguazu Falls, but I do like seeing all that purple revealed. It makes me feel like I've conquered more of the world than I have. Here's to hoping the above items and the extreme motivation to travel more help me and the traveler in your life scratch off more of those countries soon.